Thoughts on various subjects. Jonathon Swift, 1711. Oliver St. John Gogarty. 1878-1957. —-The ‘Reclaim Australia’ demonstrations round Australia in mid-July were predictable and are a distant reflection of more violent events in Europe. The local demonstrations were a sinister mix of Cooee, Mateship and Advance Australia Fair. * fear a decline in conservative Christian culture. —-These National parties have gained additional popular support due to the depressing economic conditions (GDP growth <1%), high unemployment and an uncertain future. Electoral support in eight European democracies varies between 13% and 26% while two National parties are represented in the European Parliament.The principal driver to this phenomenon is religion, not ethnicity. The critical question is whether completely different faiths and their associated culture can coexist under a democracy (Europe News). —-On a historical basis a common thread in Western culture in the first decades of the 20th Century was anti-Semitism. Economic and social conditions for the masses before and after the First World War were terrible. After the War the British Government promised ‘a land fit for heroes’, it totally was not for the Europeans. One hundred years later in the 21st century Western culture is suffering similar conditions therefore a rising Islamophobia is not unexpected. Recently the political heads of France, Germany and Italy have endeavoured to calm national unrest without success. —-Australia is in a difficult situation. For decades the Government has extolled the success of multiculturalism which was based on ethnic not religious integration. To maintain this policy it must consider the concerns of ‘Reclaim Australia’ which are natural while simultaneously allaying the fears of Australian Islamic society. An added complication is that our Muslim neighbour, Indonesia, will be keenly observing how Australia handles the threat of rising nationalism and simultaneously ensuring a peaceful domicile for its Muslim citizens. Russia was forceful when its citizens in the Baltic States and Central Asia were under pressure after the disintegration of the Soviet Union. 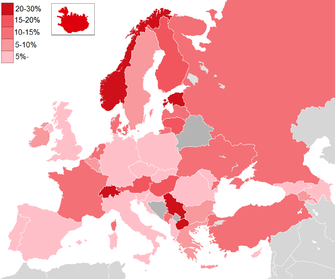 —-“Reclaim Australia” is not an aberration, it has common cause with compatriots in Europe. It cannot be disbanded by political pressure, the concerns of its supporters and sympathisers will have to be addressed. —-So too today, a hundred years later, Western Europe including Australia is struggling under poor economic conditions, unemployment and uncertainty. Religion and associated customs are again magnified and have been exacerbated by Western democracies waging war, for what ever reason, on Islamic cultures in the Middle East for almost a generation. Propaganda by Western governments have had the unintended consequence of encouraging an unfavourable perception of Islam. This is an intractable problem which can only be partially solved by an improvement in national economies and the political leaders providing a more certain future for its citizens. —-A philosophical question, can two mutually exclusive faiths peacefully coexist in a demoracy if one is a perceived as a threat by the other? Cold air and snow precipitation. —-RN Breakfast, 17 July, has aired another climate change warning. The National Oceanic and Atmospheric Administration has announced that 2014 was a year of multiple records, globally the hottest, average sea level the highest, sea surface temperatures the warmest and the Arctic sea ice area the smallest. All the major indicators are rushing towards Hades while in Australia the political elite indulge in petty pedestrian politics. —-A Polar vortex is currently sweeping over south-east Australia to the delight of the winter sports industry, so far unheard is an informed comment on its significance. 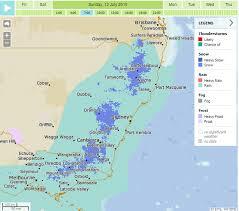 Hearsay is this is the coldest regional event for over 50 years with snow within cooee of the Tropic of Capricorn. It was only a few months ago that a northern Polar vortex swept over the United States dumping snow on 48 of the 50 American States. What does this mean? —-The Antarctic Polar vortex is a 200 km/hr super cold wind circling the remnants of the ozone hole round the Antarctic continent. Normally this wind delivers rain to the Roaring Forties that nourishes southern Australia. Global warming is shrinking the diameter of the vortex thus dragging rain away from Australia and so worsening the usual drought cycles. —- The current cold air from the vortex over south-east Australia is due to global warming. There is an increasing temperature differential between the equatorial and polar regions, this causes a distortion of the southern hemisphere jet stream which permits vortex air to migrate north to dump snow and cold rain over south-east Australia (National Climate Centre, Canberra). The long term significance of this weather event for Australia could be profound but there has been a deafening silence of informed comment. 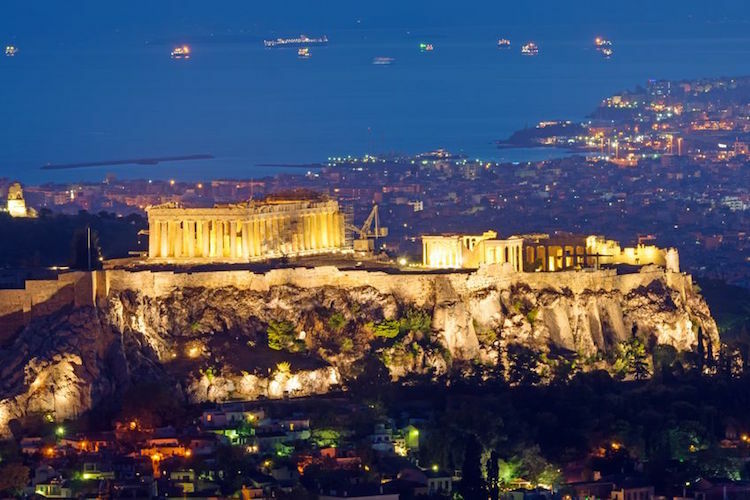 Athens in the shadow of its past glory. The debt crisis. —-Ffinancial convulsions that have consumed Europe, Greece and Greek communities round the world, however there is a larger canvas on which a more worrying picture is emerging. The attached table derived from The Economist World Debt Summary compares Eurozone members and includes Australia and its south-east Asian competitor and trading partner, South Korea. The table grades from the weaker to the more robust economies. —-From the table it is clear Greece and Portugal are in a parlous financial situation. A principal difference is that Portugal plans to repay a $14 billion bail-out loan to the IMF while Greece has been unable to meet a $1.7 billion interest payment to the IMF. Portugal has maintained an onerous austerity program while Greece has failed. Within the EU there is a worry, however, that Portugal and possibly Italy may eventually default as the financial data is not encouraging (P. Wise, EU Economy). In contrast the more stable stronger economies are characterised by lower public debt and healthier Budget Balances. —-Although Greece is responsible for only 2% of EU GDP Europe is riven by a divisive convergence, Germany requires Greece to remain in the Union for economic reasons (which have now been questioned) while France requires Greece to remain in the fold for political reasons. By mid-July the EU granted a further $80 billion bail-out for the third time but this is no solution to the problem!! —–The larger picture is that five members of the EU (Ireland, Cyprus, Spain, Portugal, Greece) have been provided with financial packages from the ECB and the IMF. Spain as one of the largest economies in Europe has been of particular concern, since the GFC in 2008 it has received cash injections of over $US 200 billion. Spanish austerity measures and increasing competitiveness have improved the situation but its budget deficit is a concern. A major cause of Euro Zone problems was that the introduction of the euro was not accompanied by a common fiscal system. The statement by Mario Draghi, President of the ECB, that he ‘will do whatever it takes to preserve the euro’ may come to haunt him. —-Despite the dire warnings of the Australian Government it is clear that within the OECD orbit (table above) Australia’s financial position is better than most, however, this is unsustainable unless Australia massively increases its exports. —-In this Asian century America has announced it is expanding military cooperation with Indonesia, since this nation’s islands are washed by the South China Sea this is an understandable move. Indonesia is planning to establish a military base in this region as the rise of China can no longer be considered peaceful. Indonesia has already crossed verbal swords with China due to its claim on the Indonesian island of Natuna. —-Australia is now facing the reality of an expanding military power as its closest nation. There is a relative shift in wealth and power away from Australia toward Indonesia and it is incumbent on Australia to manage this transition and remain on good terms with its near northern Islamic neighbour. PriceWaterhouseCoopershave estimated that by 2050 Indonesia will possess a GDP three times that of Australia. The Indonesian population is around 250 million, ten times that of Australia. Crucially the size of an economy is determined by the number of workers and their output. When Indonesia reduces corruption and improves it politics it will be well on its way to becoming a power house providing its 5% growth rate can be maintained. —-Despite Australia being a country of immigrants its current immigration policy may ‘come back to bite it’. History can be instructive but never quite repeats itself. The Afrikaans nation went into decline because it was a minority group that wished to retain its national purity. Bearing in mind Australia’s high labour costs, its reliance on natural resources and its lack of a population critical mass Australia will be unable to match Indonesia’s GDP growth. —-The point of this discussion is that Indonesia has indicated it requires its armed forces to be superior to its neighbours including Australia. As Indonesia grows in power it will become more involved in Asian and international affairs as, in relative terms, Australia’s military influence and GDP decreases (Strategic and Defence Studies, Canberra). Although over 50% of Indonesian military equipment is over thirty years old it pushing ahead with its military expansion. The objective is to build a modern military force by 2024 comprising 180 jet fighters, 300 warships and 12 submarines. This will be a three phase project, the first phase was completed in 2014 (Straits Times, 2015). —-It behoves Australia to cultivate a more cooperative demeanour with Indonesia as perforce Indonesia’s enemy from the north will be Australia’s. 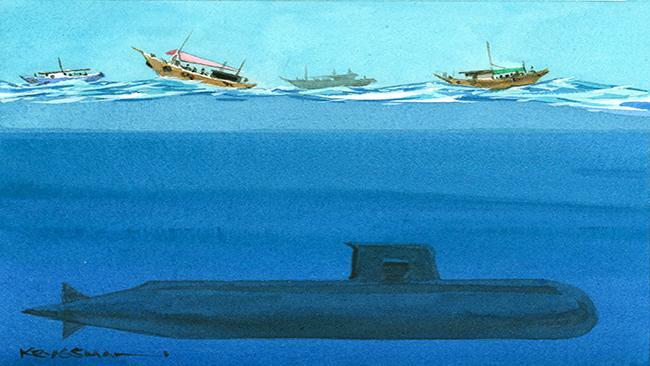 —-The Arafura and Timor seas that separate Australia and Indonesia represents an immense cultural, religious and social divide that will require a sea change in Australia’s foreign policy approach, an attitude that smacks of hubris will have to go. The 250 million citizens can no longer be taken for granted and Australia’s foreign aid can have no real effect on future growth and may be rejected as charity. The fantasy that “Indonesia has no better friend than Australia” will, to Australia’s relief, hopefully be replaced by “Australia has no better friend than Indonesia”. —-Once again — History and change happen. There are those among us who wish this was not so. —-Incensed, the mare, Maggie, galloped to the water trough scattering several calves wetting their noses. With Maggie drinking the calves closed in behind jumping and shaking their heads as if laughing. Quo Vadis Homo sapiens. The future Hamlet? 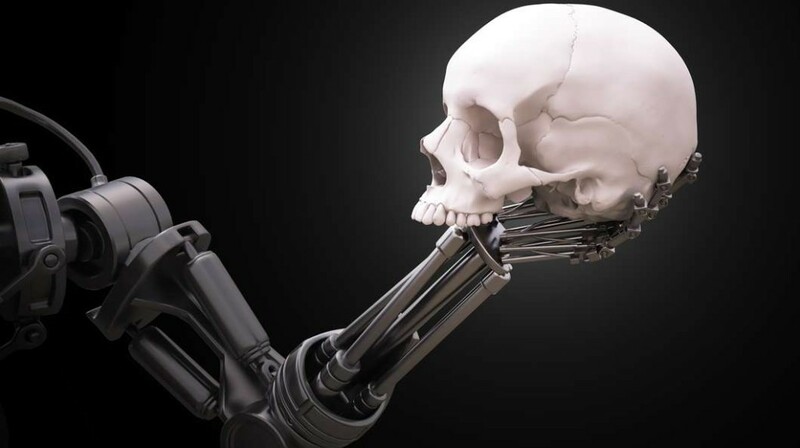 —-Over one thousand scientists and engineers sent an open letter to the United Nations requesting it ban the production of autonomous warfare systems, that is artificial intelligence killing machines. The letter originated in Buenos Aires in late July at the International Joint Conference on Artificial Intelligence. Signatures include those of intellectual giants of our species, namely Stephen Hawking, Elon Musk, Noam Chomsky and Steve Wozniak. The letter mentioned three weapons revolutions, guns (past), nuclear (present) and artificial intelligence (now upon us). —-The future is murky. Two powers, the Soviet Union and the United States, consummated the the Strategic Arms Limitation Treaty (SALT) in 1972 which limited the proliferation of nuclear weapons. Now some forty-five years later how much more difficult will it be when technically advanced rising powers, China and Iran, also require a place at the top table. There are two other complications; Britain, Israel and Norway already deploy missiles and drones that can attack targets without direct human control (New york Times, November 2014). Secondly this technology is not difficult to master and the concern is rogue nations or terrorist groups could manufacture their own artificial intelligence weapons. —-According to Steven Hawking “full artificial intelligence in weapons could spell the end of the human race”. Homo sapiens–Quo Vadis?